How Does Predictive Caltec Score® Benefit Individuals? The use of Predictive Caltec Score®, also known as Credit Score, makes it easy for creditors to be able to measure their credit risk quickly. Before the existence of Predictive Caltec Score®, the credit approval process was slow, inconsistent, and based on a subjective, not equitable, evaluation criteria. Individuals can obtain credit quickly. 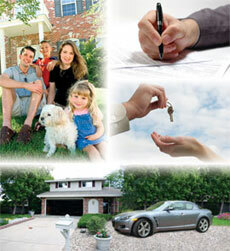 Credit evaluation decisions are more fair and equitable. Credit-related information errors are ignored in the credit approval process. Individuals have more credit available. The overall cost of interest rates for credit is lower. The guarantee of respect for privacy, recognized by the political constitution of the Dominican Republic and legislation in effect, promoting truthfulness, accuracy, effective updating, reliability, and the proper use of the information. Know your Predictive Caltec Score® , also known as Credit Score, which is used to measure your credit risk or risk factor. Know what a credit bureau is, and what information is processed about your credit history. Find out what data from your credit history is reviewed and analyzed by banks, financial institutions, and other creditors. Before applying for credit, find out about the status and contents of your credit report. Avoid rejection of your applications for credit cards, loans, opening of acocunts, etc..
Update the addresses and telephone numbers associated with you so your next credit application is processed expeditiously. Find out, monitor, and correctly and efficiently manage your debts, protecting your credit history: it is important that you protect your credit image, so that doors are not closed to you when you need them the most. Detect and prevent criminals from committing fraud by using your identity illegally.